With each update to their search algorithms, Google makes it more difficult for spammers and those attempting to game the system through black hat techniques. Unfortunately these changes can also have great impact on the rankings of legitimate websites if they are not careful to stay on top of the new rules for search rankings. One of the most important aspects of search engine optimization (SEO) is building a strong link profile but recent changes to the way Google sees and treats these links have made it more important than ever to avoid spammy link building techniques. Even in these circumstances it is generally a good idea to include the nofollow attribute on any external links pointing to your website that are in places which you control including widgets and infographics that are likely to be reposted on external sites. Widgets in particular have been abused by companies seeking to improve their link profile and Google has taken a harsher stance on evaluating these types of links. Matts Cutts stated in a video response to questions regarding the most recent Penguin 2.0 update that he “would not rely on widgets and infographics as your primary way to gather links.” Instead, this type of content should be used for branding purposes and to provide useful information and services to searchers. As many webmasters will choose to include a widget or infographic on their page without carefully examining the relevant code, it is now Google’s policy that it is not fair that they should pass on PageRank without being aware of it. These webmasters are not making an editorial choice to link to your website and, as such, the link should not be given the same weight as a natural link. Even Press Releases links back to your company’s website should make use of nofollow tags to avoid triggering spam warnings. While it is currently acceptable to have a direct URL link that is followed by Google, future updates may decide otherwise and it is safer in the long run to nofollow them. While Matt Cutts has stated that press releases do not pass PageRank value, this does not always seem to be the case as this example regarding Cutts’ own blog demonstrates. So when is it ok to follow links? The only links that do not need to be nofollowed are natural links from external sources that you do not control. For example, a satisfied customer may decide to write on their blog about your excellent customer service and link to your website for interested readers. 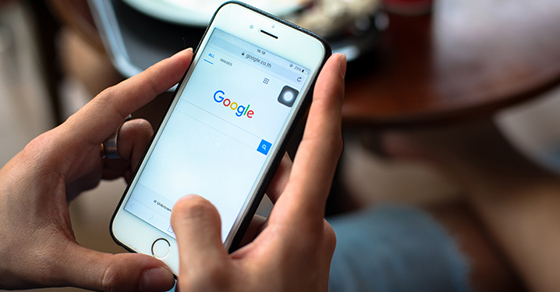 This type of link is exactly what Google likes to see because it demonstrates that your company is focused on providing a satisfying customer experience. Similarly, social media links are great because they demonstrate real interest in your company. Be sure to keep in mind that analysis of your link profile is done by computers so they can occasionally be cases of false positives as Google adjusts algorithms to catch those abusing the system. Play it safe to avoid incurring any penalties!